Improve eczema, acne and dermatitis naturally with Sibu's Sea Berry Seed Oil. Sea buckthorn extract can improve a range of skin and health conditions. It's rich in essential fatty acids like omega-7 and delivers more than 190 bioative compounds for better health. 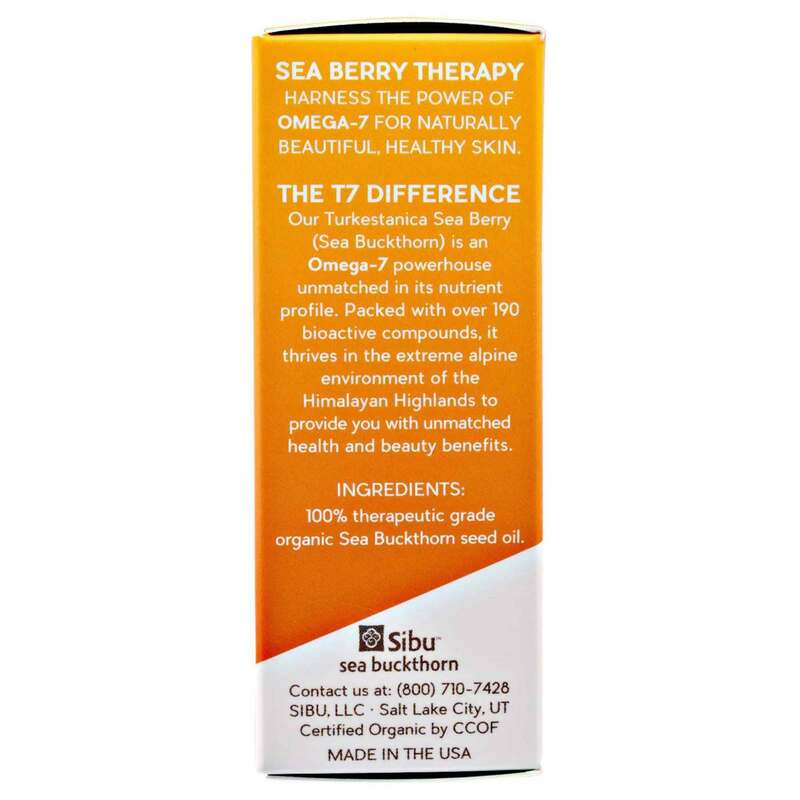 Sibu's Sea Berry Seed Oil features a blend of natural ingredients in a gentle but effective cream. This organic formula is fast-acting and absorbs quickly to relieve chronic blemishing and conditions on all types of skin. 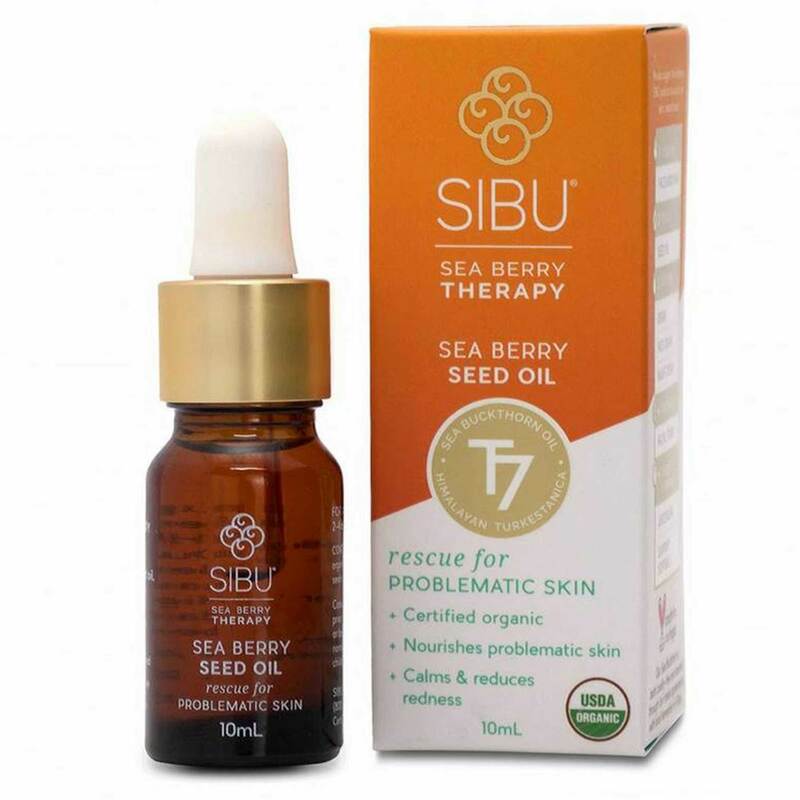 Sea Berry Seed Oil is one of many exceptional skin care products from Sibu. Order yours today at eVitamins and save! Notes: Paraben-free and cruelty-free. No dairy, wheat, gluten, sodium, yeast or preservatives. Ingredients: 100% Therapeutic Grade Organic Sea Buckthorn Seed Oil. Directions: Topically rub 2-4 drops into affected area, or as needed.